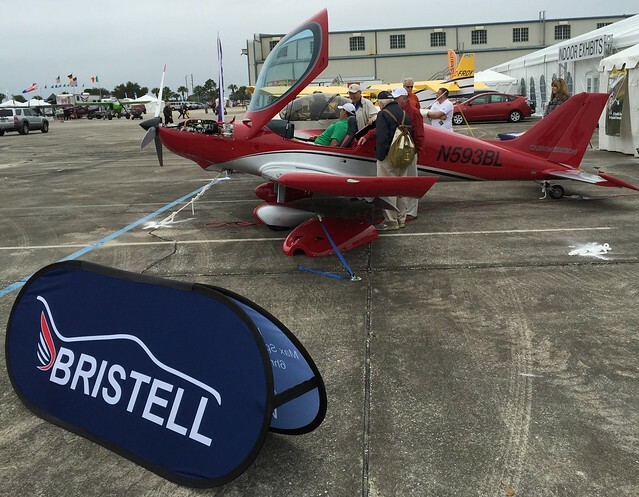 Bristell Taildragger demo for sale. Got something to buy or sell? Post it here! 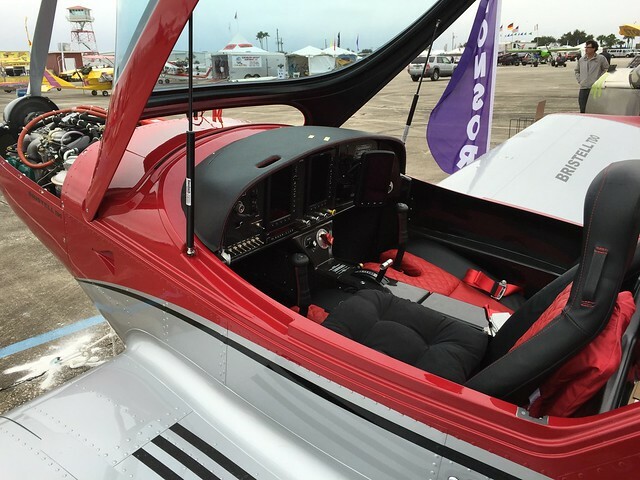 You guys may recall that back in 2015 I was somewhat enamored by a pretty red Bristell taildragger I saw on display at the Light Sport Expo in Sebring. Anyway, at Sun ‘n’ Fun I asked about it at their display. It was not there, but I was told it was currently for sale. It has about 500 hrs now as a demo plane, and I think they’re asking $99,000. No financial interest - just posting this here because I find it really lust-worthy. I am sticking with my Sky Arrow for the immediate future, so I’m not in the market right now. I’ll post contact info in a few. Re: Bristell Taildragger demo for sale. $99k for a Bristell with 500hrs seems a pretty smoking deal, if it has no damage history. It is a tail dragged though - right there it narrows the audience a bit so that’s why probably this relatively low price. Warmi wrote: It is a tail dragged though - right there it narrows the audience a bit so that’s why probably this relatively low price. Taildragger is preferred in my mind. Lighter weight and lower drag = better performance. As well as better prop clearance if you want to mad on grass. All the Bristells are "light weight" and have great performance. This particular plane was on Trade-a-Plane recently for $109K so they must have lowered the price due to lack of interest in the tail dragger version. MrMorden wrote: $99k for a Bristell with 500hrs seems a pretty smoking deal, if it has no damage history. I thought it seemed like a fair price, considering I think the new price was in the vicinity of $160k. I did not ask about damage history. The prop clearance really is a shallow benefit since as soon as you raise the tail you are back to the same clearance- and you gonna raise the tail pretty quickly. As far as other benefits - the benefit of a tail wheel being a few pounds lighter , for me , does not offset the inherent lack of stability in taildraggers. After all there is a reason why everyone moved to tricycles. I would prefer the tail dragger. Once you have plenty of experience in one, you understand the benefits. Warmi wrote: After all there is a reason why everyone moved to tricycles. FastEddieB wrote: I did not ask about damage history. I do know the history of this plane, Eddie, and even considered it for myself (but not for my flight school - that would cut my number of students in half, and double my insurance costs). It did sustain minor damage (now properly repaired) when it departed the runway in typical taildragger fashion a few years ago. That wouldn't deter me from buying it. TimTaylor wrote: I would prefer the tail dragger. Once you have plenty of experience in one, you understand the benefits. Well, there are hardly any - if there were, every commercial aviation customer that actually uses their equipment for work , as opposed to fun, would be ordering them ..
A tail dragger is as just useful as any other airplane, assuming you're talking about otherwise comparable airplanes. Just about every cropduster, glider tow, or banner towing aircraft I see is still a conventional landing gear, so they must be appropriate for some commercial operations. Are we talking about working airplanes here, or airplanes used for fun? I don't think anybody is going to be using the Bristell to haul freight or passengers. BTW, the P-51, F4 Corsair, and DC3/C47 are all taildraggers. They were pretty hard working airplanes.